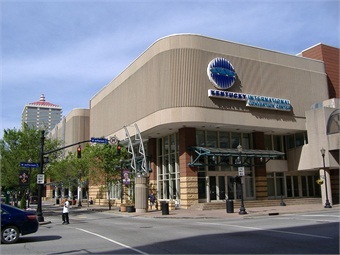 The American Bus Association’s annual Marketplace is coming to Louisville Jan. 9 to 12. During the four full days of Marketplace, motorcoach operators, tour operators, and travel and tour industry professionals will be coming together and growing their businesses on the Marketplace floor and during the many networking opportunities. Marketplace will bring more than 3,400 tour operators, suppliers, and exhibitors under one roof, kicking off a new year of business opportunities and growth. The 2015 Marketplace in St. Louis generated more than $54 million dollars in booked business at the event or immediately afterward. 2016 is a very special year in the long history of ABA. It marks the association’s 90th anniversary. ABA’s Marketplace will kick off the year-long celebration. The inaugural meeting of ABA’s newest council — the Bus Repair and Maintenance Council — BusMARC will be held at Marketplace. For more information about BusMARC click on this link. Also meeting at Marketplace will be representatives of the International Motorcoach Group (IMG) as well as ABA’s Women in Buses Council, the Hispanic Motorcoach Council, Trailways, Entertainer Motorcoach Council and various state and regional motorcoach associations. ABA Media, Motor Coach Industries (MCI), Metro Magazine, BusRide Magazine and Serendipity Media will present several awards. The awards recognize individuals and companies that have demonstrated leadership and innovation in the motorcoach, travel and tourism industry. The Bus Industry Safety Council will also present the second “Norm Littler Safety Award,” which recognizes an individual or company that is making a significant contribution to motorcoach passenger safety. The award honors Norm Littler the late ABA VP, Safety and Regulatory Affairs. ABA is once again partnering with a deserving non-profit to raise money and awareness. This year the “Marketplace Gives Back” effort is supporting the Michael J. Fox Foundation, which is the largest nonprofit funder of research into Parkinson’s disease. Fox’s Foundation is dedicated to accelerating a cure for Parkinson’s disease and improved therapies for those living with the condition today. Since Marketplace 2007, ABA delegates have raised more than $307,000 for deserving charities. The Federal Motor Carrier Safety Administration will hold two public listening sessions on Tuesday, Jan. 12, from 9:30 a.m. to 11:30 a.m. and 2:30 p.m. to 4:30 p.m. FMCSA will be soliciting information on the potential benefits and feasibility of voluntary compliance and ways to credit carriers and drivers who initiate and establish programs that promote safety beyond the standards established in FMCSA regulations. DePaul University of Chicago will release its annual report showing the growth within the scheduled service, point-to-point segment of the motorcoach industry. The report will also detail why free onboard amenities including Wi-Fi and 110-volt electric plug-ins, along with upgraded luxury service, are pushing much of that growth. That report will be released Tuesday, Jan. 12 at 2:30 p.m.